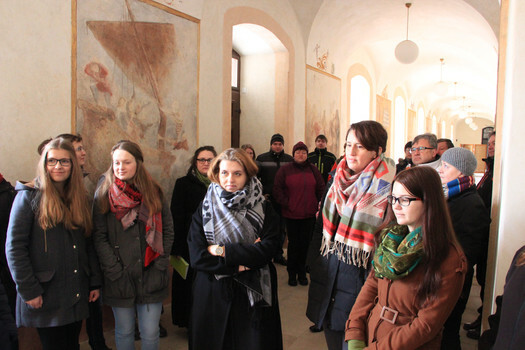 Information about guided tours for leaders of tourist groups. 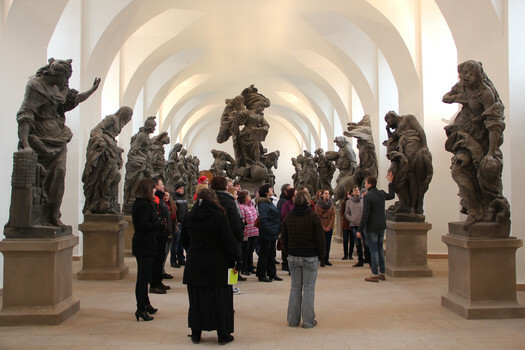 It is possible to book guided tour for Hospital (main tour) and Sporck's family tomb in English, German and Polish language for a minimum of 10 people. It is possible to book reservation in czech, english, german or polish language. phone contact to the group leader. We accept only CZK cash or credit card (MasterCard, Visa). If you want to pay in cash, please have your money collected for your whole group in advance. Please arrive to the ticket office at least 15 minutes before the tour start, mind that parking lot is in the village Kuks, approximately 15 minutes of walking from hospital. Thank you for understanding! If you want to book tour to Czech Pharmaceutical Museum you can do so online on Czech Pharmaceutical Museum website.